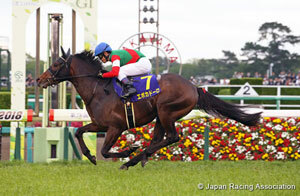 Top flight horseracing action in Japan comes thick and fast at this time of year, and things will reach fever pitch on Sunday, May 27, when Tokyo Racecourse stages the Grade 1 Tokyo Yushun (Japanese Derby), one of the truly great races on the Japanese racing calendar. 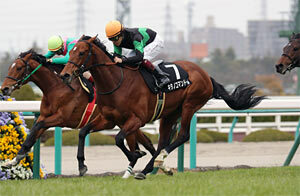 It will be the 85th running of the race, which was first held at the Meguro Racecourse in Tokyo in 1932. The race draws crowds of 100,000 or more, and last year saw just over 123,000 racing fans pass through the gates to witness Rey de Oro’s Derby victory. This year sees the race attract 21 nominations, all colts, and a number of them will be clashing again after meeting earlier this year in the Grade 1 Satsuki Sho (Japanese 2000 Guineas). 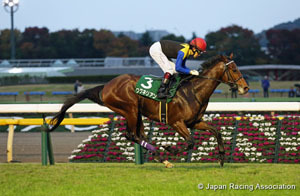 Twenty three winners of the Satsuki Sho have gone on to win the Derby, and there have just been seven Triple Crown winners in Japanese racing history, the last one being Orfevre in 2011. 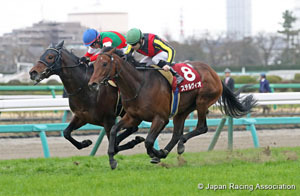 Lead up races to the Derby have included the Grade 3 Mainichi Hai over 1,800 meters at Hanshin in March, the Grade 2 Hochi Hai Yayoi Sho over 2,000 meters at Nakayama in March, and the Grade 2 TV Tokyo Hai Aoba Sho (Derby trial) over 2,400 meters at Tokyo in April. 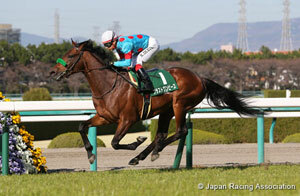 The record time for the Tokyo Yushun (Japanese Deby) is held by Duramente, who stopped the clock in a time of 2 minutes, 23.2 seconds in 2015. 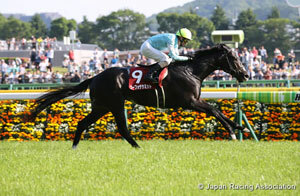 Four first favorites have won in the past decade, and this year Danon Premium looks like he will go off a pretty strong favorite. 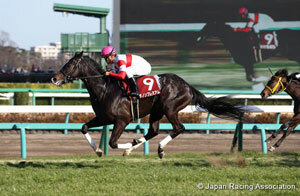 Danon Premium: The colt by Deep Impact is unbeaten in four career starts, and although he won well in the Grade 2 Hochi Hai Yayoi Sho in March, he had to miss the Grade 1 Satsuki Sho (Japanese 2000 Guineas) with a slight hoof injury. He looks like the one they have to beat, carrying over his top form as a 2-year-old into this year as well. 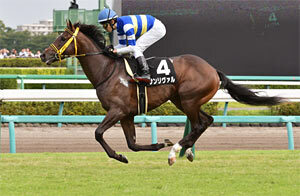 Assistant trainer Teruhiko Saruhashi commented on the colt’s progress: “He had to miss the Satsuki Sho because of the stone bruise, so his target then became the Derby. 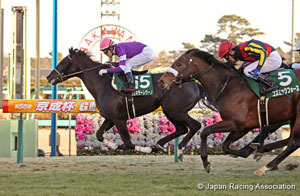 We’ve concentrated on getting him back into top condition, and there’s no issue at all with the injury he sustained.” Trainer Mitsumasa Nakauchida will be looking for just his second Grade 1 title, his first was also attained by Danon Premium.